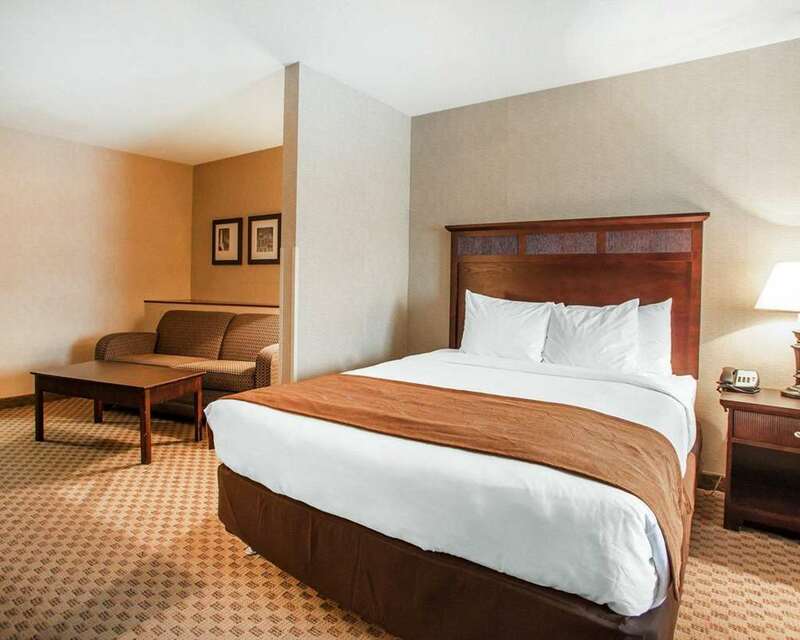 Get more of the space you need to spread out, relax or work at the pet-friendly, smoke-free Comfort Suites Park Place hotel in Milwaukee, WI near the Milwaukee County Zoo. Nearby attractions include Marquette University, BMO Harris Bradley Center, Wisconsin Center, Miller Park and Petit National Ice Center. Enjoy amenities like free hot breakfast, free WiFi, indoor headed pool, fitness center and guest laundry facilities. Rooms include refrigerators, microwaves, coffee makers, hair dryers, irons and ironing boards. Also, earn rewards including free nights and gift cards with our Choice Privileges Rewards program.